Being ‘green’ is very fashionable and it’s something that customers are increasingly demanding of their suppliers. What’s more, environmentally friendly choices often make the best economic sense. 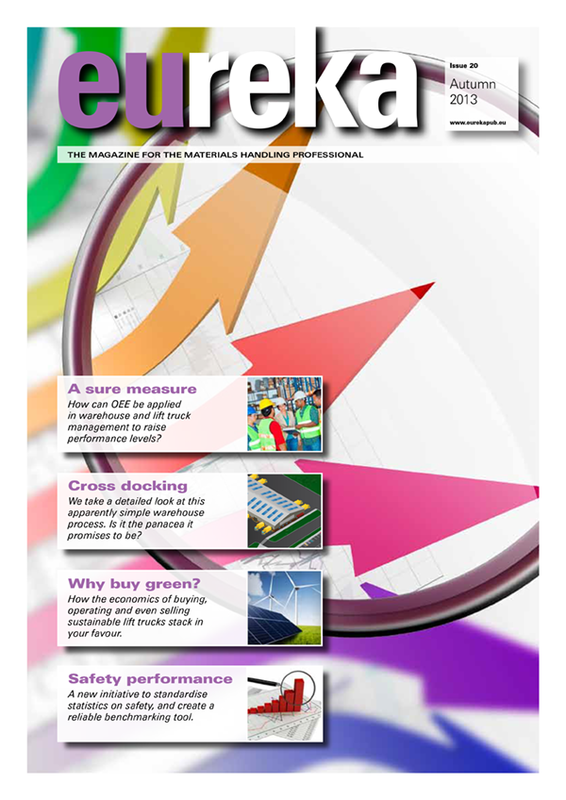 In this summary, Mark Nicholson sets out the main considerations involved in selecting a ‘sustainable’ forklift truck. It should be stressed at the outset that this article is about making money, not spending money. It focuses on cutting energy, material and service costs, maintaining productivity and making your business run more efficiently. So even if you don’t think of yourself as an environmentalist, please carry on reading. But first let’s just give a quick definition of environmental friendliness – or ‘sustainability’, as it is often known. Sustainability means using the planet’s resources in a way which ensures they don’t run out, and which avoids causing so much damage to the environment that we destroy the quality – or even the possibility – of life in the future. One of our most obvious challenges is to reduce our consumption of fossil fuels. As well as using up a limited resource, burning of these materials creates pollution in the form of carbon dioxide and other more directly toxic substances. Conservation of the earth’s raw materials – including fuel – and prevention of pollution and other destructive effects are closely related issues that we often come across when discussing materials handling operations and equipment. One of our most obvious challenges is to reduce our consumption of fossil fuels. 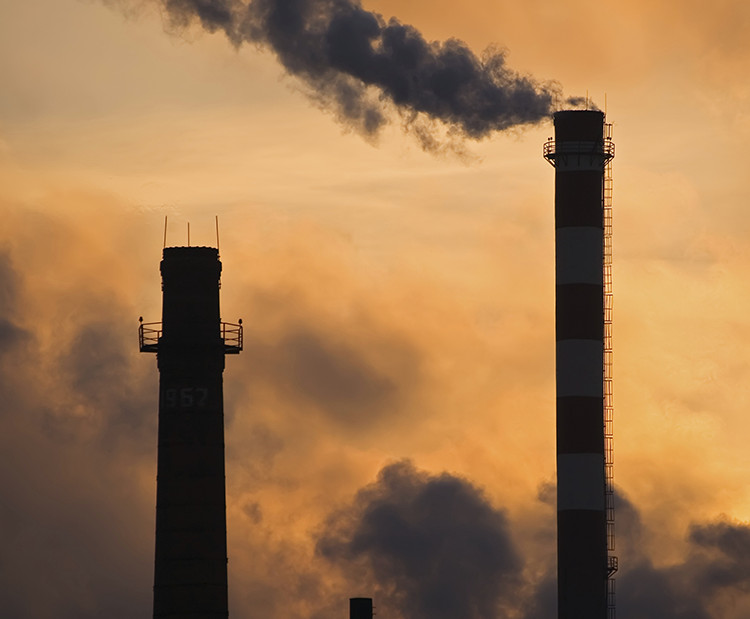 As well as using up a limited resource, burning of these materials creates pollution in the form of carbon dioxide and other more directly toxic substances. Everyone should be aware by now that accumulation of carbon dioxide and other ‘greenhouse gases’ in the atmosphere is causing adverse changes in climate. In addition to fuel, our industry consumes materials in the construction and operation of its trucks and associated facilities. Many of those materials need to be disposed of at some point, in which case they become potential pollutants. 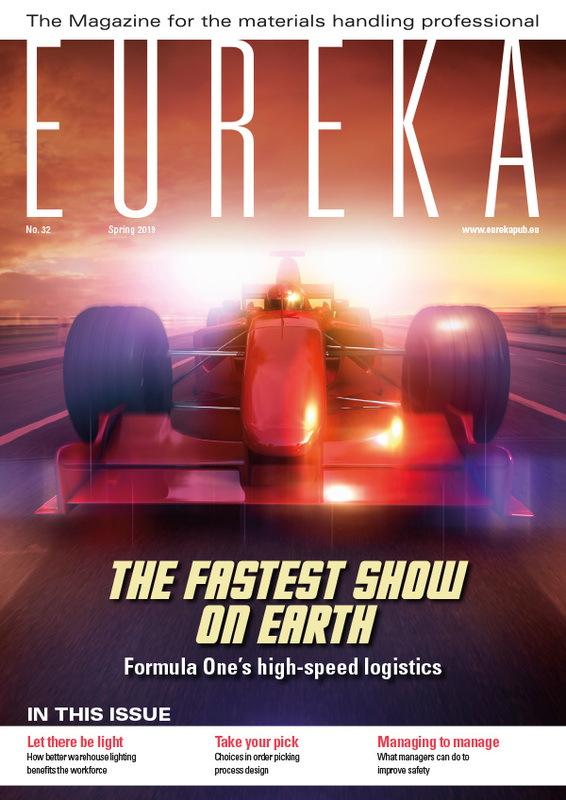 In this issue of eureka we will stick to the topic of choosing forklifts that minimise our impact on the environment, but similarly sound economic arguments can be made for sustainable choices in the design, equipment and operating practices of the premises that surround them. One of the first decisions to make when choosing a forklift truck is what power source to use. This usually means diesel, LPG or battery. Environmental friendliness cannot be your only consideration, as there is no point in buying an especially green truck if it is unable to cope with the work for which it has been acquired. The greenest option will vary between applications and in some cases it might be, for example, a large diesel. Many people automatically assume that an electric truck will always be more environmentally friendly than an IC engine forklift. This is not necessarily the case, but if a business is able to obtain its electricity from clean, renewable sources, such as wind or solar power, the electric truck does become very environmentally friendly. In any case, electric trucks do have a number of other environmental advantages. One is that they require less maintenance and less replacement of worn parts than an IC engine truck. Another is that their performance is highly programmable, so parameters can be set with energy saving as a priority and operators can be ‘forced’ to drive economically and safely. For indoor duties, where IC engine emissions cannot be allowed, batteries – or perhaps fuel cells in the future – are the only option. The advanced Cat 48V electric trucks, with capacities from 1.3 to 2.0 tonnes, are easily programmable for energy-saving performance and include other green features such as maintenance-free brakes, strong regenerative braking and a long service interval. Having decided on your power source, you will have to look at the green information offered on each model and decide which are the greenest trucks that will match your operational requirements. Key issues will include their energy efficiency, emissions, recyclability and other pollution or waste control measures. Technological advances in IC engines, like the latest generation of three-way catalytic converters available for LPG trucks, are constantly reducing fuel consumption as well as emissions. At the same time, the energy efficiency of electric trucks is also increasing as electronic technology becomes ever more sophisticated. You should also bear in mind that the most advanced electric trucks are the most versatile in terms of programmability. This allows you to configure the perfect performance settings to achieve the balance between economy and productivity that you want. It also means that over the years you can reconfigure your truck to meet changing needs, rather than dumping it on the environment and buying a new one. Energy is not the only continuing cost associated with a forklift truck. Another is the expense of maintenance and repairs. It makes economic and ecological sense to pay a little more for a truck whose components are durable, rather than a cheap model that will require regular replacements, more of the service engineer’s time and longer periods off duty in the repair bay. You can look for low-wear technologies such as wet disc brakes, which are virtually maintenance-free. It’s also worth thinking about choosing features that will reduce the cost of excessive wear or accidental damage. For example, in some applications a load weight indicator and a lift height indicator will help operators to avoid accidentally exceeding the truck’s safe residual capacity. 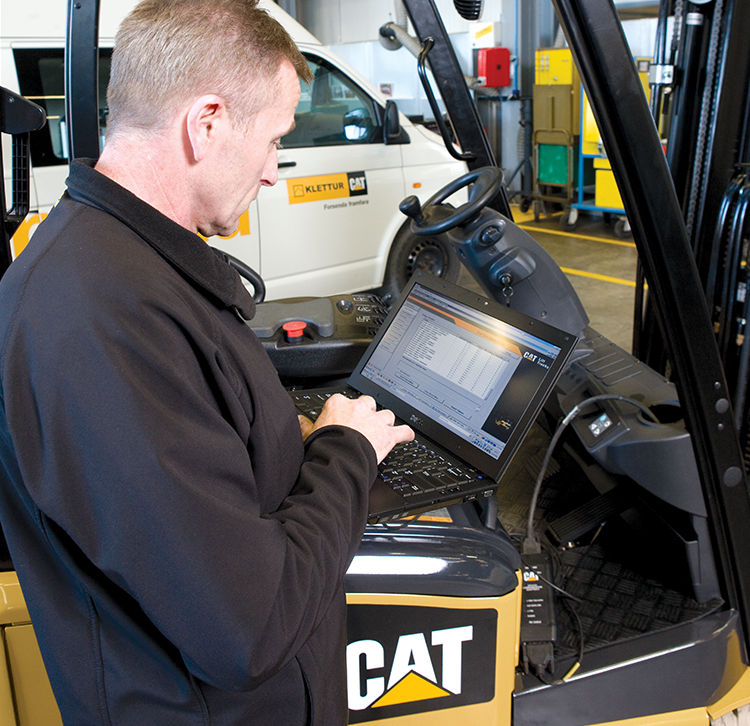 Forklifts will vary in the amount of coolant, hydraulic oil and other fluids that they use. This can offer an ongoing cost saving, as well as reducing the amount of toxic waste that has to be disposed of at some point. The Cat® GP15-35N LPG counterbalance truck features a clean, economical three-way catalytic converter with closed loop control. Its three key functions are to convert toxic nitrogen oxides into nitrogen and oxygen, carbon monoxide to carbon dioxide, and hydrocarbons into carbon dioxide and water. Closed loop control ensures the optimum mix of air and fuel at all times. Something else you can consider is how recyclable the truck’s components are. This may not make any difference to you, economically, but it won’t cost you anything extra to buy a highly recyclable truck and it will add to your green credibility. 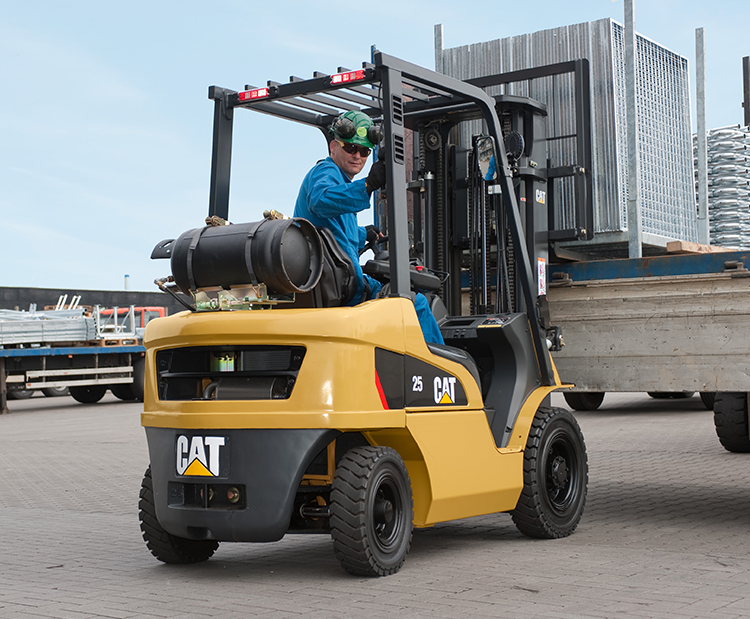 Manufacturers like Cat® Lift Trucks build forklifts with recyclability and remanufacturing in mind. Their construction allows worn-out or outdated parts to be swapped easily, while many of their components can be remanufactured rather than scrapped. Keeping machines in action rather than dumping them is a good green principle. Whether you upgrade or reconfigure parts of the truck yourself, as your needs change, or pass the truck on to a new owner, people and the planet will benefit. If you choose a durable and versatile truck you will not only be rewarded with dependable performance every day, over a long lifetime, but you will also benefit from a good second-hand price when you decide to sell it. As we have seen, it’s possible to make environmentally friendly choices which immediately save money or which are good longer-term investments in profitability. There are other green features which don’t affect the cost of the truck but do allow you to make a further contribution to protecting the environment. Having adopted such sustainable choices as part of your corporate social responsibility policy, make sure you tell people about it. It’s good news. And if you are feeling generous after saving money in the ways described, you might like to make a donation to a local nature conservation charity. That organisation will undoubtedly publicise your contribution, helping to reinforce the positive message that you care about the environment – which is what today’s customers want to hear. This article appeared in the 2013 Autumn edition of eureka magazine.